A new artificial intelligence system can predict the development of Alzheimer's with 100 percent accuracy and six years before the hallmarks that doctors use to diagnose the disease appear, the Mail Online says. There is no cure for Alzheimer's and the effectiveness of the best treatments for the disease diminishes as it progresses. This means that early detection is the single best hope for the futures of the 44 million people living with Alzheimer's around the world. Scientists at the University of California, San Francisco (UCSF), taught their AI how to detect subtle changes in the brain that would be imperceptible to the human eye. So far, the system has provided a seemingly fail-proof early warning before the full onset of Alzheimer's' devastating effects in a small sample of tests. 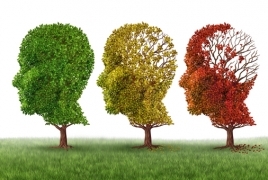 Despite the fact that Alzheimer's is among the top 10 deadliest diseases in the world, we've only begun to have a rudimentary understanding of the condition in recent years. While we better understand the markers and causes, Alzheimer's - like the football-related brain disease, CTE - cannot be conclusively diagnosed until death, even today. Doctors simply use process of elimination to rule out as many other causes of memory loss as possible. This is done through memory assessments and evaluations of any potential behavioral changes as well as lab tests and brain imaging. Most people have only four to eight years left to live by the time they are diagnosed with Alzheimer's disease. There are medications available to help patients manage memory loss- such as Aricept, Namenda and Excelon - but they are not a fix, they will not stop or reverse memory loss, they simply might slightly slow its progression and help make day-to-day living a little more manageable.